Welcome to the latest post in this series, looking at quick gardening jobs you can fit into a busy schedule. 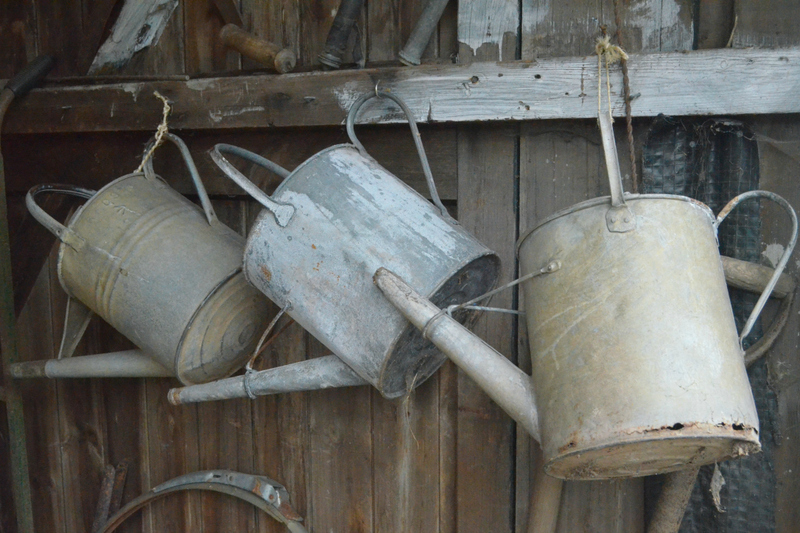 This time I’m looking at ways to stay on top of your summer garden. Things have certainly warmed up in the last couple of weeks, and I’m really enjoying my garden now the summer plants are bursting into life. I think the ‘little and often’ approach is best for gardening at this time of year; keeping on top of the garden through little jobs seems to keep everything looking good much more effectively than carving out a few hours to blitz it. It’s an added bonus that gardening this way is perfectly suited to being short on time. Here are some ideas for ten minute summer gardening jobs you can tackle now to keep your garden looking great this summer. This is the perfect time to give your garden a shot of colour with summer flowering bedding plants in containers, borders and hanging baskets. Supermarkets, garden centres and DIY stores are overflowing with bedding plants at this time of year, so there’s lots of choice. 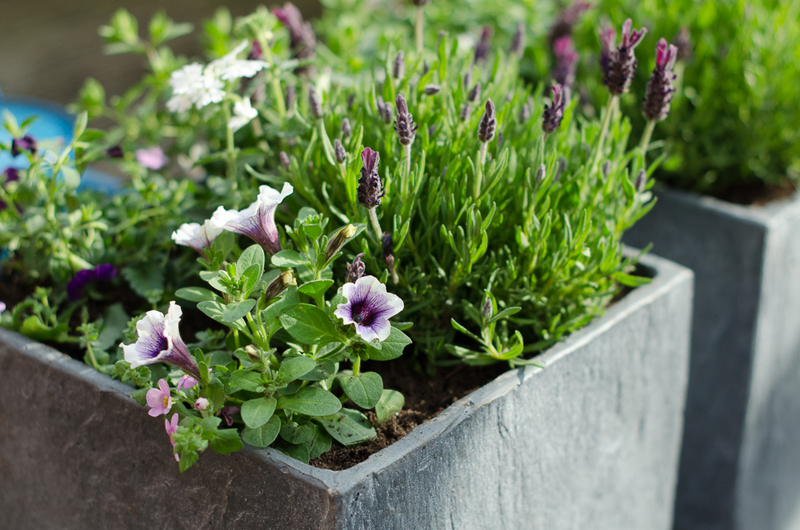 If you’re planting in containers and baskets, try to use good quality compost, and remember to feed your plants with suitable outdoor plant food, because they will quickly exhaust the nutrients in their soil. Don’t waste time watering little and often; this encourages weeds and can also cause plants to make roots near the surface, which makes them vulnerable. Instead, water the soil around plants really thoroughly, making little ponds around them so the water can really soak in. Watering this way supports plants for much longer, so you need to water less often – giving you more time to sit back and enjoy your garden. 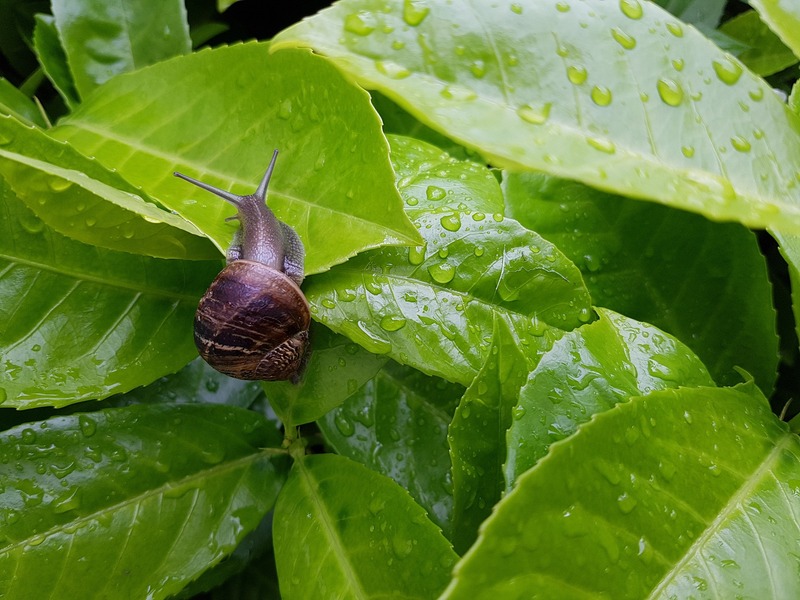 For more tips on effective garden watering in summer check out this post. Having spent precious time and money coaxing your plants to thrive, it’s well worth encouraging them to produce as many flowers as possible. Deadheading involves removing any flowers that are drooping, dead or forming seed heads; doing this prevents the plant setting seed, so it produces more flowers. This is the sort of summer gardening job you can potter away at whenever you have a spare minute, and it’s a great one to get the kids involved with too. Don’t assume wild birds don’t need your support in the garden during the summer months. Birds breed in spring and early summer, so by this time of year they are feeding their young and very glad of any extra food you can provide. You’re also giving them a great start on building their energy resources for the colder weather later in the year. 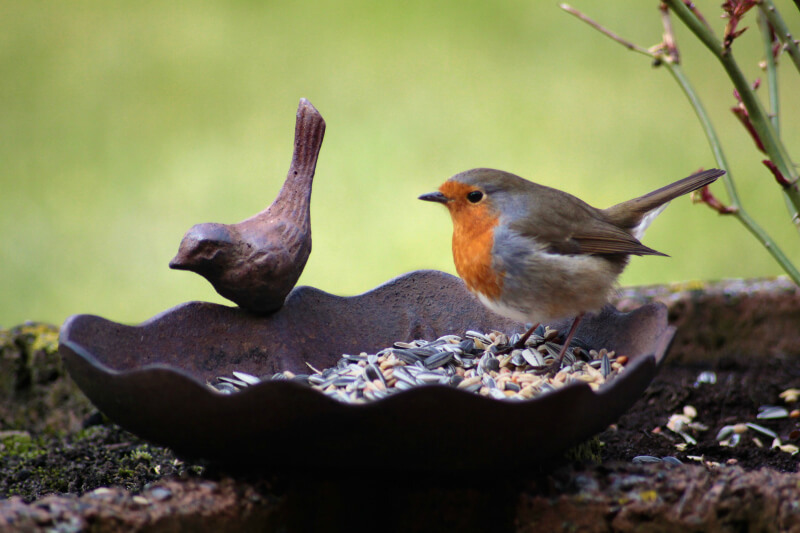 And if you can provide a bird bath this is a real lifeline during hot weather – just remember to keep topping it up. What summer gardening jobs are you managing this month? Let me know in the comments. Disclaimer: this post contains affiliate links. This means that if you click through and make a purchase, I may receive a small commission from that sale. Me too – last year I bought a tiny pair of ‘snips’ online, they make deadheading so much quicker and easier and I’ve been better at keeping on top of it since then. I never knew that about watering/roots not going deep! Thanks! I’m definitely with you on the therapeutic flower tidying, it’s quite addictive! Anything really – as long as it doesn’t have holes in the bottom and is quite shallow, to prevent small birds getting into trouble. An upturned terracotta pot with a plant saucer balanced on the top looks really nice, and I think old saucers from charity shops are brilliant for this too! Oh your foxgloves look amazing! My garden is purely functional, because I see all the weeding and watering as a chore, and we have a ton of clay and rock in our beds. The one thing that does thrive is roses, and I keep meaning to make more effort. Apart from anything else, spending a bit of time in the garden would no doubt feel so relaxing, and that’s got to be a plus! Clay soil is tough isn’t it, some of my allotment is full of it and it really puts me off digging. Maybe I should plant some roses! 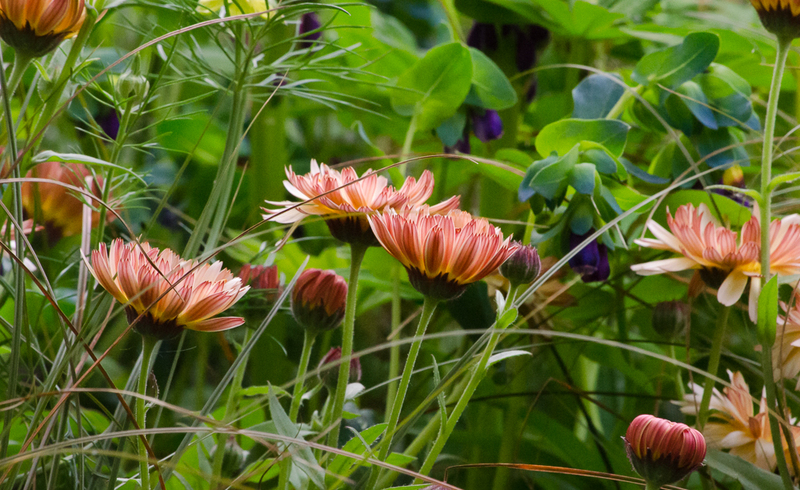 It’s the garden equivalent of de-cluttering isn’t it – so satisfying! Oh I’m just too soft to get tough on them, even though I always moan when they help themselves to my seedlings!